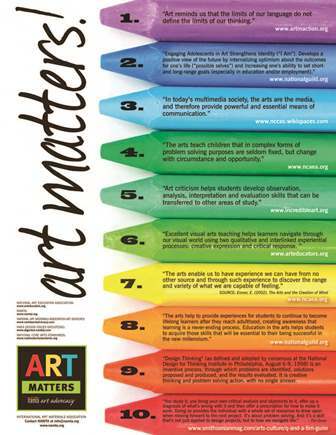 Support and Promote Art Advocacy in your Community, School, or Business with NAMTA's Art Advocacy Posters. free to download, and available to all interested. You can print the 11 x 17 size right on your office color copier. We encourage you to invest in larger size posters to display at your business, and as gifts to your locals schools and art clubs. 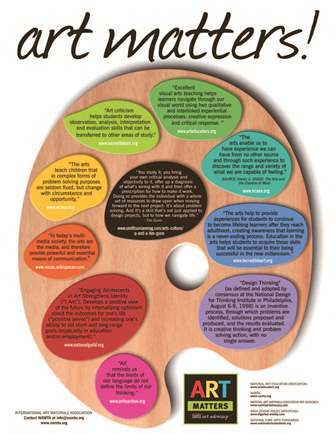 You can send the file to your printer of choice, or you can send your printer this link - https://namta.memberclicks.net/posters-for-art-advocacy - and they can download the file for you.